The Nanny was a 1990s sitcom about an affable, big-haired, nasal-voiced Jewish woman from New York who becomes a nanny to the family of a widowed Englishman. The series, starring, Fran Drescher and Charles Shaughnessy, ran on CBS for six seasons, from 1993 to 1999. Why don't you test your knowledge of this popular show by doing the following quiz. 1. New Yorker Fran Fine (portrayed by Fran Drescher) was fired from her job in a bridal dress shop, owned by her then-boyfriend, Danny Imperiali. After the loss of that job, what employment did she find in Manhattan before becoming a nanny? 2, Fran Fine was a native of what part of New York City? 3. British actor Charles Shaughnessy portrayed Maxwell Sheffield, the wealthy widower who eventually fell in love with nanny Fran Fine. Pior to landing his role on The Nanny, Shanughnessy was a soap opera star. What was the name of the soap he appeared on? 4. How many children did the widowed Maxwell have when Fran became their nanny? 5. What was the name of Max's late wife. 6. Which of these famous composers appeared in an episode of The Nanny? 7. 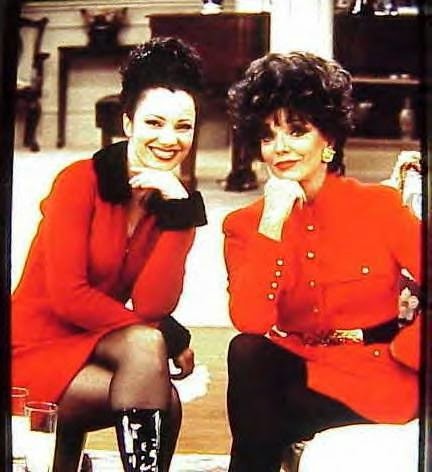 Joan Collins of Dynasty fame was a guest star in an episode of The Nanny. What role did she play? 8. Did Fran and Maxwell ever get married? A. No, they never married. B. On the last episode of the series, they announced their engagement. C. Yes, they wed at the end of the show's fifth season. D. No, Maxwell married someone else. E. The final season ended with Maxwell proposing and Fran turning him down. 9. Who was Valerie "Val" Toriello? A. The owner of Fran's favourite Italian restaurant. 10. 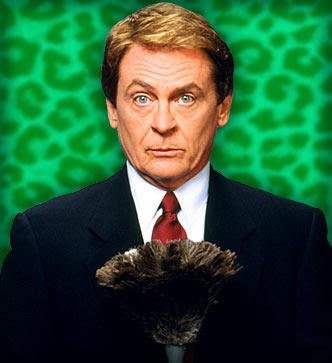 What were the names of Fran's parents on the show? 11. What was Maxwell's occupation? A. He was a corporate executive. B. He was a theatrical producer for Broadway shows. C. He was a real estate tycoon. D. He was the owner of a department store chain. E, He was the owner and operator of an upscale Manhattan hotel. 13. Who was C.C. Babcock? 14. What did C.C. stand for in her name? 15. What was the name of C.C. 's dog? 16. Which well-know psychologist guest-starred in an episode of The Nanny? 17. Whom did Niles eventually marry? C. No one. He remained a bachelor. 18. What happened to daughter Maggie at the end of the series? B. She went to medical school in Chicago. C. She started her own business. D. She published a book. E. She and a friend opened an upscale restaurant. 19. At the end of the series, Fran, Maxwell, Grace and the twins moved away from New York. Where did they go? After losing her job and being dumped by her boyfriend, Fran became a cosmetics saleswoman. Fran Fine was a native of the Flushing area of Queens, New York. The Nanny was greatly influenced by Fran Drescher own experiences growing up in Queens. London-born Charles Shaughnessy played the aristocratic Shane Donovan, a secret agent on Days of Our Lives. He actually is a British peer, the 5th Baron Shaughnessy. Shaughnessy reprised his Shane Donovan role on Days of Our Lives for two brief stints in May 2012 and November 2013. Maxwell Sheffield was a widower with three children, two daughters and a son. The oldest was daughter Margaret "Maggie" Sheffield, played by Nicholle Tom. The middle child was a son named Brighton Sheffield, was portrayed by Benjamin Salisbury and Madeline Zima was brainy Grace "Gracie" Sheffield, the baby of the family. Max's late wife was named Sara. She passed away some years before the start of the series. Marvin Hamlisch appeared in an episode of The Nanny called "Val's Boyfriend" (Season 3, Episode 18, Air Date: February 5, 1996). He played Alan Neider, Fran's former high school teacher, a Marvin Hamlisch look-alike. Burt Bacharach appeared as himself in a 1996 episode entitled "The Cantor." (Season 3, Episode 24, Air Date: April 29, 1996). Joan Collins portrayed Maxwell's stepmother, Joan Sheffield in a 1996 episode of The Nanny entitled "Me and Mrs. Joan" (Season 4, Episode 6, Air Date: October 30, 1996). In the episode Fran attempts to play peacemaker by inviting Maxwell's father's former secretary (Joan), who caused the breakup of his parent's marriage, to dinner. Val, played by Rachel Chagall, was Fran's best friend since elementary school in Flushing, Queens, New York. 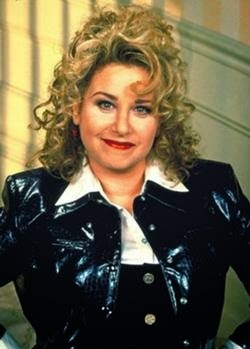 Bronx-born Renée Taylor played the role of Sylvia Fine, (née Rosenberg), Fran's outspoken mother. Steve Lawrence portrayed Fran's father, Morty Fine. Niles was the butler and caretaker for the Sheffield family home. His father had been the Sheffield butler previously. Niles' last name was never revealed on the show. Although the character was an Englishman, he was portrayed by Daniel Davis, a native of Little Rock, Arkansa. C.C. 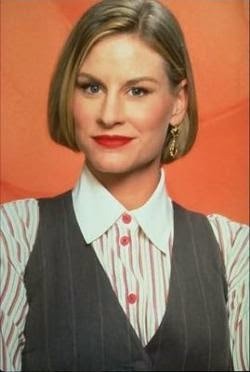 Babcock, played by Lauren Lane, was Maxwell's longtime business partner. The egotistical C.C. had romantic designs on Maxwell, making her Fran's rival for his affections. C.C. Babcock's full name was Chastity Claire Babcock. C.C. Babcock had a dog called Chester. 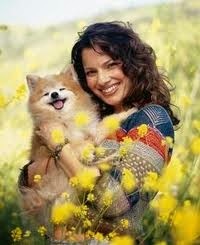 The performing dog, who died in 2000, was actually Fran Drescher's Pomeranian, and his full name was Chester Drescher. Perhaps that's why he seemed to prefer Fran Fine over his fictional TV owner, C.C. Dr. Joyce Brothers guest-starred on a 1997 episode of The Nanny entitled "The Ex-Niles" (Season 5, Episode 5, Air Date: October 29, 1997) In the episode, Fran and C.C. visit Dr. Brothers to determine which woman is more suitable for Maxwell. Niles eventually married C.C. Babcock, although they initially disliked each other intensely. In one of the last episodes of the final season, Maggie Sheffield marries Michael, an underwear model, played by Andrew Levitas. The episode is entitled "Maggie's Wedding" (Season 6, Episode 19, Air Date: May 5, 1999. Fran is delighted to learn that Michael is a cousin of James Brolin, husband of her idol, Barbra Streisand. At the end of the series, Fran, Max, Grace and the twins move to Los Angeles, where Maxwell is scheduled to produce a television show. Maggie and her husband move to Europe. However, Maggie stays in Paris with her brother, Brighton, while Michael heads to Venice for a modelling assignment. Whatever happened to Louise Lasser?